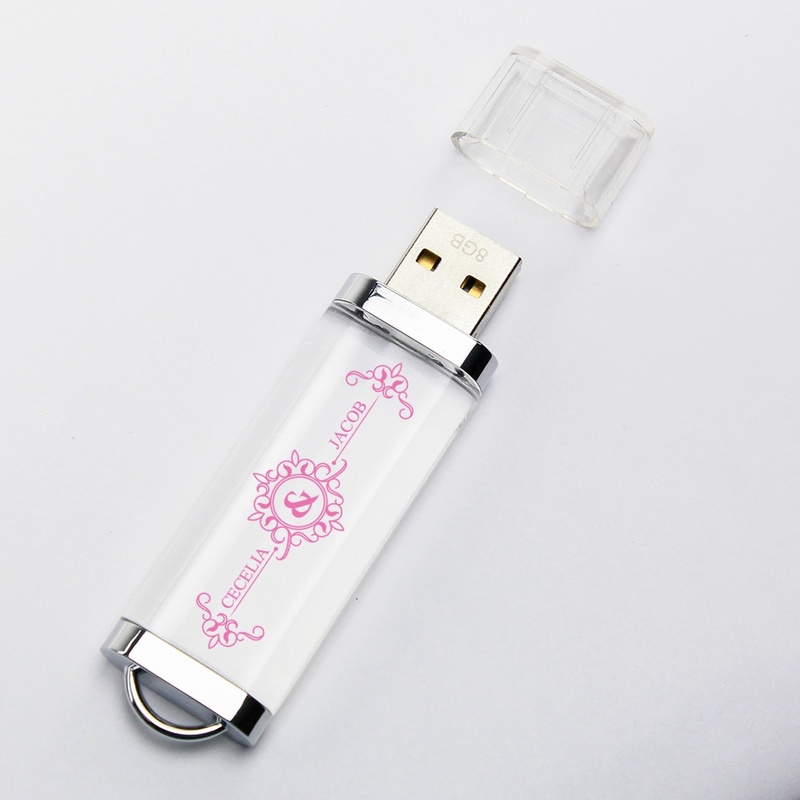 We didn’t use trick photography when shooting the images for the Illusion USB Drive - it really is transparent! 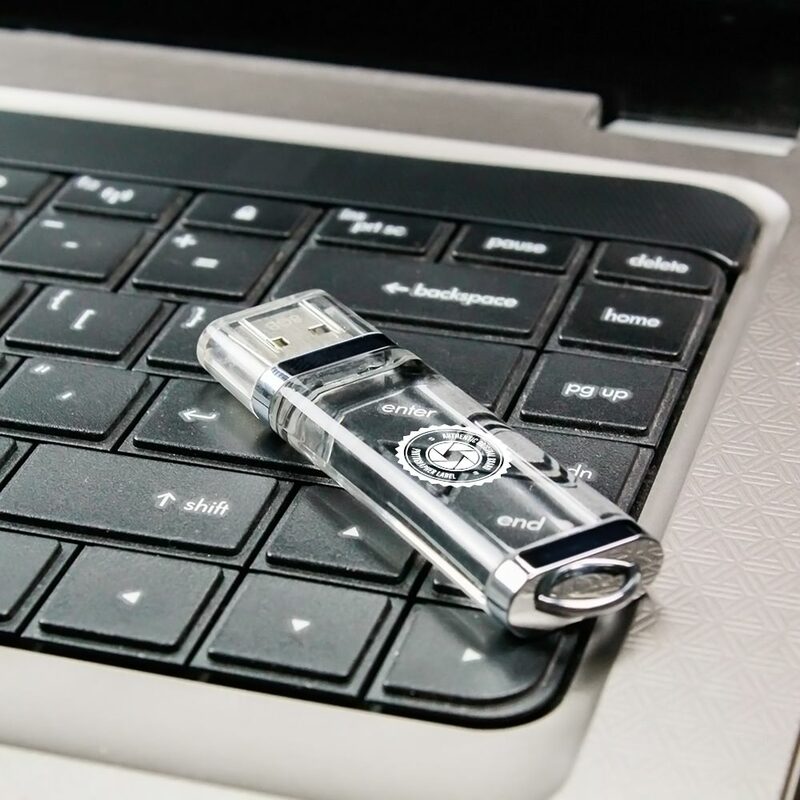 It magically holds up to 64GB of data, but we’ll never tell you how. 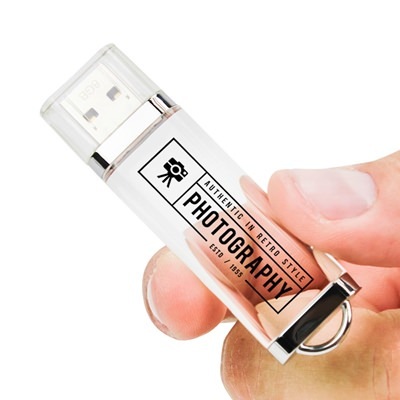 It’s the perfect custom usb drive for photographers! Showcase your client's monogram, names, or logo on the outside and watch it light up when in use. 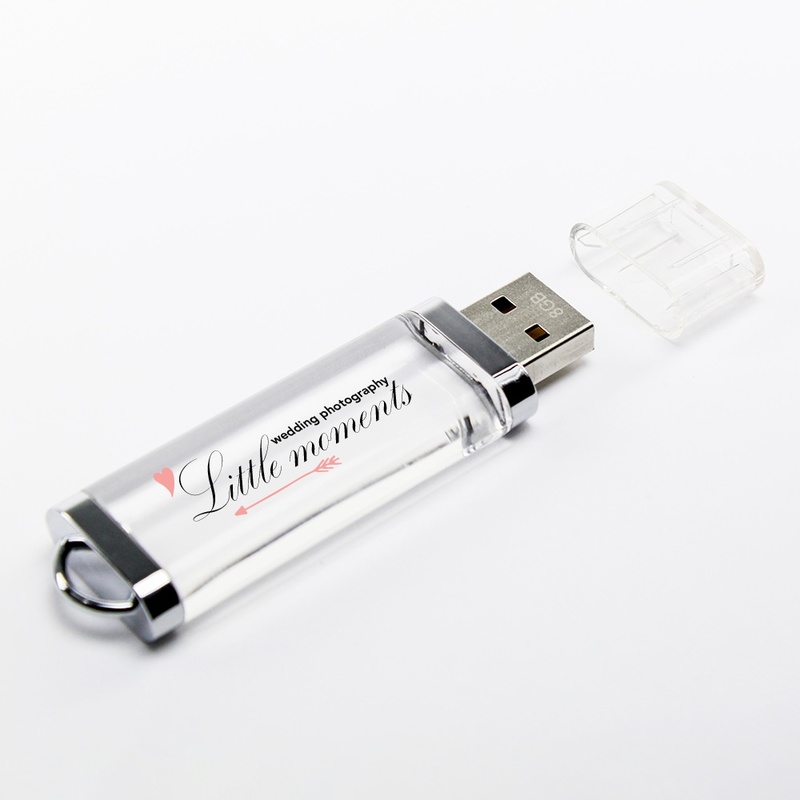 It looks great solo or in an accompanying wedding USB box! The Illusion USB is great for making your clients do a double-take, but we all know the real magic is the work of art you store on them.